Cooking a whole packer brisket can be a little intimidating. It is a large piece of meat and even at $2.99 / pound for prime, it was still just shy of $50. The per pound pricing can be a little misleading though. With this particular brisket weighing in at 16.50 pounds, I trimmed off 2.8 pounds of fat even before cooking. By the time it finished, I was down to just over 8.5 pounds. 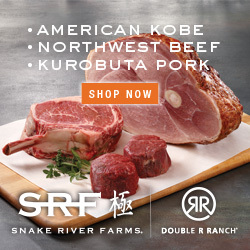 Still not a bad per pound price for some good beef, but it is a large outlay and a lot of meat if you don’t have family & friends to eat it with you. 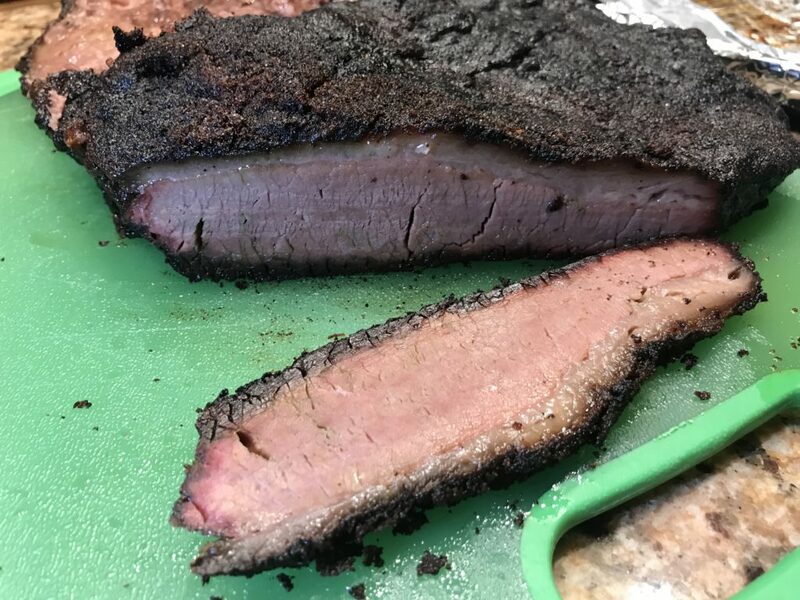 As you can see from the photos, I trimmed the brisket up a lot right out of the package. I also saved the fat. In later photos you can see it sitting above the brisket in the smoker while cooking. After trimming, I scored the fat to allow the seasoning & juices to seep into the cracks. Once the brisket has been carved up, give it a nice layer of salt to set it up for a dry brine. I try to give it 24 hours to brine before cooking. I started this brisket on Wednesday night around 9:25 pm with the smoker set at 230°. Thanks my my trusty Rec Tec, I am able to let it do most of the cooking all night long while I sleep. Before I put it on, I slathered it with mustard and gave it a generous layer of my beef rub. You want to let the brisket cook until a temperature probe goes in like butter. You don’t necessarily cook a brisket to temperature. You have to cook to tenderness. I use temperature as a guideline to know where the meat is at, but only pull the brisket off when it probes tender in the thickest part of the flat. No 2 briskets ever come out or cook the same, each time you cook one it will come to tenderness at a different time and temperature. In this case, that turned out to be 203° and was around 12:20 pm on Thanksgiving day. Now comes the hard part. Letting it rest. I wrapped it in foil and then wrapped that in a towel. Once wrapped, I put it into a cooler with more towels. This is called the FTC method. Foil, towel, cooler. This is a very important step and helps the brisket turn out moist and amazing. At 5:00 pm on Thanksgiving I pulled the brisket from the cooler and sliced it up for dinner. The internal temp only dropped down to 182° during the 4.5 hours of resting.